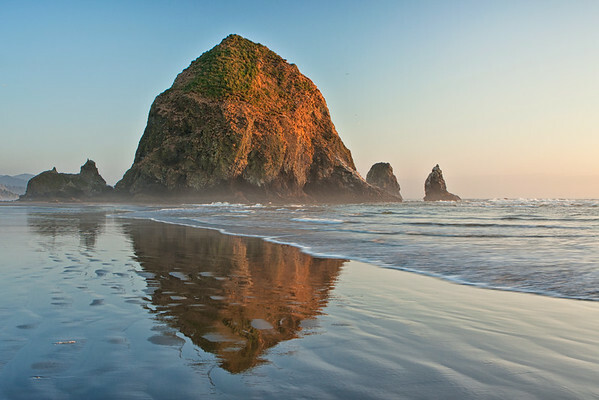 Haystack Rock at Cannon Beach, Oregon is one of two "haystacks" along the coast. It is home to all kinds of sea creatures as well as sea birds including gulls and puffins. It is also a haven for photographers.